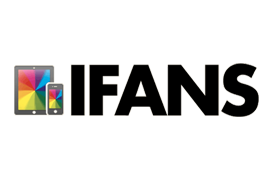 iFans.com, originally iPod touch Fans, has been a leading iPhone, iPad and iPod touch online community for over five years, with over 150,000 registered members. Our community of registered members and guests is greatly interested in everything to do with Apple and its platforms, from iOS and OS X to the iPhone and Mac. There is also a growing number of Android users on our website as we expand and attract new visitors from the broader technology community. Description: This is a unique content sponsorship opportunity to make the iFans community aware of your product or service. This will be through the means of a featured sponsored post. The sponsored post should be something that benefits the iFans community, such as a product giveaway, not just a straight advertisement. The iFans editorial team will be responsible for writing the final content based on the information provided. Examples here. Requirements: The sponsored post must be something beneficial to the iFans community, i.e. a product giveaway or contest. It must be directly related to the content of the site. Nothing offensive or misleading. Provide: Images, links and any information necessary to write up the post.